Was born in 1979. Mizhgirya village in Transcarpathia. Graduated Uzhgorod College of Arts (2003). Working in painting, drawing, art photography. 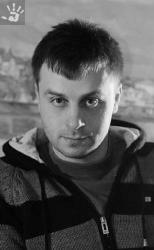 Member of the Youth Association of the National Union of Ukrainian Artists (2010).